Книга уже в продаже ! Готовится к выходу новая книга «Автомобили иностранных дипломатов в СССР. 1940-е - 1960-е». Книга А.А. Новикова «Автомобили иностранных дипломатов в СССР. 1940-е – 1960-е» расскажет об автомобилях, на которых передвигались сотрудники зарубежных дипмиссий начиная с 40-х и по конец 60-х годов прошлого века. Немало внимания уделено вспомогательным транспортным средствам, без которых также не обходилась текущая деятельность посольств и представительств. Автор рисунка на обложке – Андрей Ткаченко. Автор рисунков к каждой из глав – Виктор Зинченко. 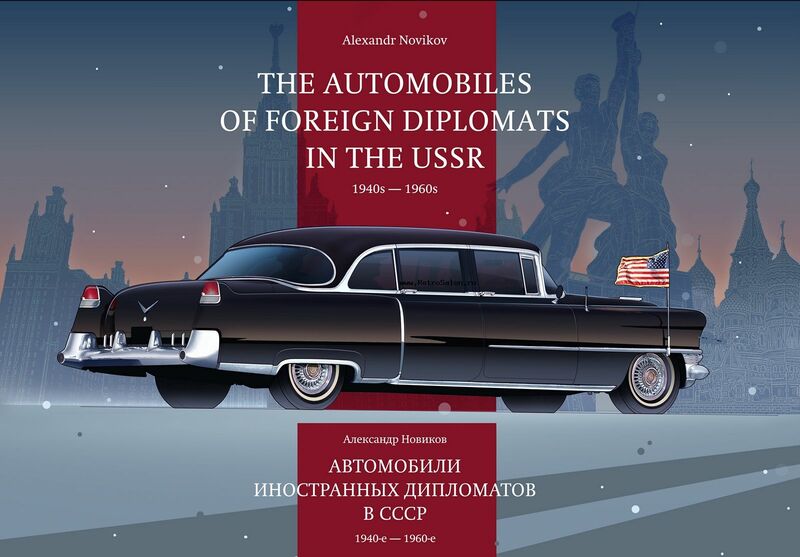 The book The Automobiles of Foreign Diplomats in the USSR. 1940s-1960s. written by Alexandr Novikov tells of automobiles carrying employees of foreign diplomatic missions from the 1940s to the late 1960s. The author pays much attention to auxiliary vehicles, without which the everyday activities of embassies and consulates would have been impossible. The first part of the book The Automobiles of Foreign Diplomats in the USSR. 1940-1960. is finished. It is a kind of attempt to tell and show how foreigners moved around the capital of our Motherland and what places in Moscow were popular with representatives of the diplomatic corps. The author also tried to trace the fate of some of the automobiles and briefly describe it. In the second part, the author will continue to talk about the automobiles and the diplomats that they carried from the 1970s to the early 1990s.